Michael James Denham White was born in London on 20 August 1910 to James Kemp White and Una Chase White. James White made a modest living tutoring students who were about to enter Oxford and Cambridge universities or the civil Service, in mathematics, Greek and Latin. In 1915, when Michael was five years of age, the family migrated to the Tuscany region of Italy. His father, who held fairly bohemian values, did not favour a formal education for Michael and nurtured his education in the home environment. Although, as described in Michael’s own writings, his father could not be regarded as having been a successful man in the formal sense, he apparently was a capable teacher and certainly inculcated a desire for the acquisition of knowledge in his son. Michael learned a great deal of natural history in his surroundings in Tuscany and even at the age of seven made some incisive observations on local insects and their life histories, and so gained an early interest in entomology. He was also a keen observer of the native flora and made collections in a systematic manner. His father fostered his developing interest in natural history by providing him with books on appropriate subjects. He admired his father greatly and was distressed when his father died when Michael was only 14 years of age. Before this the family had moved to southern France close to the Italian border, after five years in Italy. They lived a total of seven years in France, although during this period the major cultural influence remained that of Italy. As well as cultivating an interest in natural history, Michael had by this time formed an emotional attachment to Italy and the Italian people. After his father’s death, an uncle supported Michael’s interest in natural history and provided him with books on botany. His mother, loyal to her late husband’s wishes, arranged that his schooling continue through a correspondence course with the University Correspondence College in Cambridge. He obtained a BSc in Zoology and Human Physiology (First-Class Honours), University of London in 1931; an MSc, University of London in 1932; a DSc, University of London in 1940; an MSc, University of Melbourne in 1959 and a Dottore in Science Biologiche honoris causa, University of Sienna, in 1979. Details of his early scientific career are described in the biographical memoir written by WJ Peacock and D McCann, published in 1994 and available by following the link in the Source details below. As a result of his Master’s degree, he became convinced that he had special interests and abilities in analysing genetic and evolutionary matters from a chromosomal observational starting point. Given this realisation it was natural that he might turn to the Orthoptera (an insect group including grasshoppers, locusts, crickets, coackroaches, etc.) for his subsequent studies because they presented excellent cytological advantages; in particular, large chromosomes. He studied the effect of external environmental factors on the frequency of recombination in grasshoppers, first by looking at the influence of temperature on chiasmata frequencies and later at the consequences of X-irradiation which brought him into contact with JBS Haldane a charismatic figure in genetics and evolutionary biology. Although White later denied that Haldane had a strong influence on his work, there is no doubt that he was greatly impressed by him, perhaps as much by his behaviour as by his ideas. Haldane was unquestionably impressed by White and in 1938 invited him to move from the Department of Zoology to the Department of Genetics for his research, but White chose to stay in the zoological milieu, perhaps indicative of his conviction that one always had to study genetic systems in a biological framework. By 1935, he began demonstrating one of his characteristic traits, that of thinking beyond his own immediate experimental studies and placing them in a broader picture, looking for any appropriate generalisations that they indicated. White first synthesised his thoughts about the nature and importance of chromosomes in a small monograph, The Chromosomes, first published in 1937. Although this book did not contain the theoretical insights and major tracks of conceptual thinking that were prevalent in his subsequent book Animal Cytology and Evolution, it filled a niche in the field at the time and went to seven editions. It was published in several languages and for many years was used extensively in universities throughout the world. In this small monograph White signalled his appreciation of the genetic consequences of meiotic events. The book included what was essentially his first public discussion of the importance of chromosomal systems in evolution. This was quite an achievement for a young scientist of 27 years. The publication of his book undoubtedly contributed to his gaining a Rockefeller Fellowship in 1937 to travel to the United States for a period of research and study. addressed one of the central cytogenetic problems of the day, the question as to whether meiosis could proceed regularly if there were no chiasmata between homologous chromosomes at meta-phase 1. He showed that this could occur in the male mantid, Callimantis antillarum. He was excited by this discovery and promptly published his findings in the Proceedings of the Royal Society of London, shocking the Schraders with what they viewed as a precipitous approach to science. When reminiscing about working with the Schraders, White always compared their thorough Germanic descriptive approach with his own, which was more dynamic and always genetically oriented. At Columbia, White made another vital contact. Theodosius Dobzhansky was visiting Columbia from the California Institute of Technology where he worked in association with TH Morgan and colleagues in Drosophila genetics. Dobzhansky had just published his seminal book Genetics and the Origin of Species, and already it was obvious to White that he was one of the world’s most dynamic evolutionary geneticists. Dobzhansky and White quickly established a rapport and, discovering that they both planned to travel to Mexico on collecting trips, arranged a rendezvous in Mexico City. This they did and participated in a lecture series at the Instituto PolitÃ©cnico Nacional in Mexico City. At the end of the Rockefeller Fellowship he had to go back to England. Not long after his return to England war broke out. He was placed as a statistician in the Ministry of Food, where he served for the duration of the war. His cytogenetic research languished during this time and paradoxically led to one of his most important contributions to science. In the evenings and on weekends he worked on his book, Animal Cytology and Evolution, and he had a manuscript ready by the end of the war. It was published in 1945. After a short stint as a Guest investigator in the Department of Genetics, Carnegie Institution of Washington, Cold Spring Harbor, NY he accepted the position of Professor of Zoology at the University of Texas at Austin, one of the strongest centres of genetics research in the United States. There he studied the peculiar meiotic systems of the gall midges, Cecidomyidae, a group to which he had been introduced by the Schraders while at Columbia University. He also continued work on the chromosomes of grasshoppers which confirmed for him the pleasure to be derived from working with natural populations of insects, particularly those living in arid environments. Some of the south-west grasshopper taxa had chromosome rearrangements that were polymorphic in various populations. His study of these, particularly in Trimerotropis, kindled his interest in population cytogenetics. During a prolific period, he published not only his own experimental results but also commentaries on a range of other cytological and evolutionary matters. But White’s time at Texas was to be troubled, and this phase of his career was brought to an end by political issues. The McCarthy era of political witch-hunts had begun. Michael was investigated by the US Immigration Authority because of his connections with the Communist Party during his student days in England. His problems were acute largely because a state law had been passed that required employees of public universities and other institutions to sign an oath indicating that they had never had any Communist affiliations. Of course White was unable to do so and this ultimately resulted in his resignation. In the end it was a matter of White either resigning or being deported. During this period he found himself in an untenable situation at Texas. Once again White found safe haven in the intellectual cocoon of the Cold Spring Harbor laboratories. He took sabbatical leave, without pay, and for a year was personally and materially supported and provisioned at Cold Spring Harbor by Miloslav Demerec, Barbara McClintock and others. This gave the White family some respite, allowing them to regain a measure of equanimity before Michael returned to teach again at the University of Texas. However, shortly afterwards this excruciating and deplorable political saga came to a conclusion when in 1953 the White family voluntarily left the United States for Australia. Through the efforts of Dobzhansky and other colleagues, in 1953 Michael White was offered an appointment in the Genetics Section of the CSIRO Division of Plant Industry in Canberra. Dobzhansky made contact with Otto Frankel, who had recently been appointed Chief of the Division, requesting his help. Frankel, himself a prominent geneticist, was happy to provide a position for White because he was attempting to build up the research strength of the Genetics Section of his Division. Frankel made the full facts of White’s predicament known to CSIRO’s senior executive officers, Frederick White and Ian Clunies Ross, who had no hesitation in supporting Frankel in his efforts to secure a position for White. There is no doubt that White would have warranted the appointment through his scientific reputation alone, but they were also sympathetic to the unfortunate political intrusions into his career. It was a courageous decision by Frankel and colleagues because anti-Communist sentiment was also raging in Australia. At Canberra, White was put under no pressure to work on plants. Frankel felt that White’s presence and active research would be of general benefit to the program at CSIRO and it certainly proved to be so, with White providing an international perspective and the setting of new standards for other geneticists. He played an important role in raising the standing of the Division’s genetics group as a whole. White spent three productive years in the Canberra laboratories. In 1956, the final year of his appointment, he began working on the morabine grasshoppers. This proved to be a turning-point in his career. This large group of endemic, wingless grasshoppers would be his central experimental organisms in subsequent years. One piece of work he carried out in Canberra was an extension of his observations on pericentric inversions in the trimerotropine grasshoppers of the south-west United States. He collaborated with another CSIRO geneticist, Fred Morley, in exploring the genetic consequences of polymorphism for pericentric inversions in populations of a species of local grasshoppers. White was proud of this paper which demonstrated his ability to collaborate with other workers who had complementary skills – in this case, Morley’s conceptual mathematical thinking. White also unearthed some other remarkable chromosomal rearrangements in the morabine grasshoppers and this resulted in the first of a series of papers published over many years. Although his work was stimulating and he was well pleased with his colleagues and the environment, White was not completely satisfied at CSIRO. The CSIRO was a purely research institution and he found himself missing the stimulation and pleasures of teaching. During his time at Canberra he received entreaties to return to the United States where his genetical colleagues fully appreciated his capabilities and his stature as a scientist. No doubt they were anxious to redress the wrongs of the McCarthy period. With McCarthy’s decline in late 1954 the United States returned to a saner political environment and White decided to return to a university position where he hoped to experience the stimulation of both research and teaching. He accepted a position as Professor of Zoology at the University of Missouri, which was one of the strong centres of genetic research in the United States, having an impressive history of both Drosophila and maize genetics. But unfortunately it was not a good choice for White. His particular brand of cytogenetics was not well represented there. Both he and Sally found the general culture and religious environment of Missouri not to their liking. White realised that he and the family had been much more at home in the social and scientific environment of Australia. With the intervention of Frankel and Clunies Ross, an invitation came to White to return to Australia as Professor of Zoology at the University of Melbourne. So, after just eighteen months in Missouri, in 1958 White once again found himself a major figure in the Australian genetics community. Following his retirement from Melbourne in 1975, White accepted a visiting fellowship in the Research School of Biological Sciences at the Australian National University (ANU) in Canberra. Along with David Shaw he was a major figure in an active cytogenetic team headed by Professor Bernard John, an ex-Darlington student. Even though nominally retired, White attracted, on merit, research grants from both Australia and the United States. He published a substantial part of his total research papers during a very active period at the ANU. During this time he also renewed associations with the CSIRO laboratory at Plant Industry in which he had worked in earlier years. The CSIRO laboratory and the ANU collaborated in seminars and the organisation of journal clubs. Jim Peacock and his colleague, Elizabeth Dennis, molecular biologists in CSIRO, were able to provide him with another set of complementary skills to probe the evolutionary puzzles of the morabines. In this period in Canberra, his last major period of research, he also renewed his ties with Italy. In 1978, he was elected a Fellow of the Accademia Nazionale dei Lincei, an honour he prized above almost any other, and he took every available opportunity to lecture and conduct research in the country that along with Australia he had identified as homeland territory. It was in Italy, in what proved to be his last visit, that he was stricken with a cancer that not long afterwards ended his life. From his last visit he returned elated because he had been able to visit Corsica and Sardinia, islands he had long wanted to see. 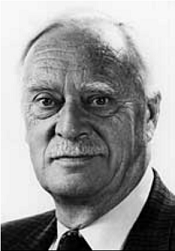 Michael White was one of the most distinguished scientists of his generation to work in Australia. Throughout his career he made important contributions to many aspects of cytology and cytogenetics and to evolutionary biology, including speciation theory and systematics. He had an awesome capacity for unremitting hard work and continued his research activities up until a few days before his death. He died from cancer on the 16 December 1983 at age 73, still at the height of his career. At the time of his death he was acknowledged as the world’s leading cytogeneticist. His importance to science is indicated by his membership of many of the world’s most prestigious academic societies and in the variety of international honours bestowed on him (see below). White was honoured by a Festschrift on his seventieth birthday (Evolution and Speciation, 1981; edited by WR Atchley and DS Woodruff).